Jump into Book 2 of this magical illustrated adventure series with Sticker Girl Martina Rivera! A Chipmunk Ballerina. A Treasure Chest Full of Jewels. A Zombie DJ. These are just a few of the many stickers ready to be peeled off Martina Rivera's new sticker sheet and come to life in Book 2 of the Sticker Girl series, Sticker Girl Rules the School. With a newfound confidence in hand, Martina is thinking about running for student council. Of course, her rambunctious sticker sidekick Craig—a talking cupcake—thinks this is a great idea and volunteers her to run for class president. As Martina soon discovers, running a campaign is a piece of cake compared to organizing a class trip and managing a horde of unruly stickers determined to create chaos within her group of friends. A magical new adventure awaits with Sticker Girl! 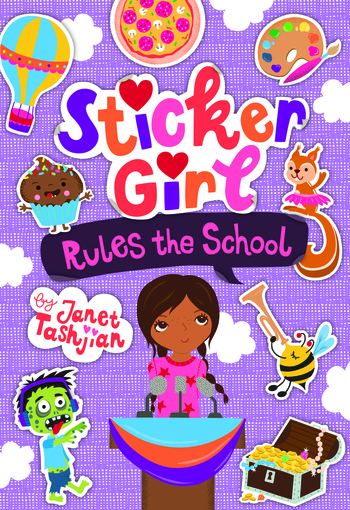 Read all about it in Sticker Girl Rules the School by Janet Tashjian and remember to see where Martina's journey began in the first book, Sticker Girl. This fun, illustrated series is perfect for middle-grade and reluctant readers. Inga Wilmink is a freelance illustrator and surface pattern designer whose quirky, colorful designs and illustrations have appeared in products by American Greetings, Disney, Hallmark, and Macmillan Children's Publishing. 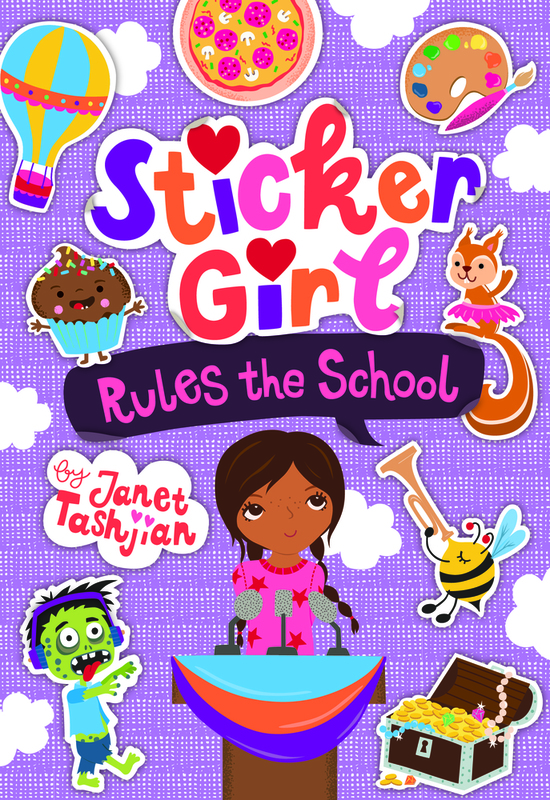 Inga illustrated Janet Tashjian's Sticker Girl book series, including Sticker Girl Rules the School and Sticker Girl Bakes Up Trouble.